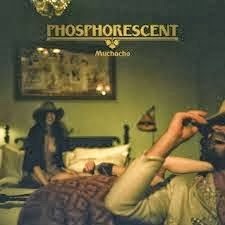 Caught my first car listen this weekend to Phosphorescent's Muchacho. Definitely a solid album, full of appealing, lived-in, lazy, pedal-steel driven ballads, and two fantastic tracks in the slow but urgent Song For Zula and the apocalyptic The Quotidian Beasts, but so far, I don't think it's quite as strong as Matthew Houck's previous Phosphorescent effort, 2010's less orchestrated, but much livelier Here's To Taking It Easy. That said, in an amazingly lackluster year for top tier new releases, it already feels like one of 2013's best bets. See what you think. Here's Song For Zula.